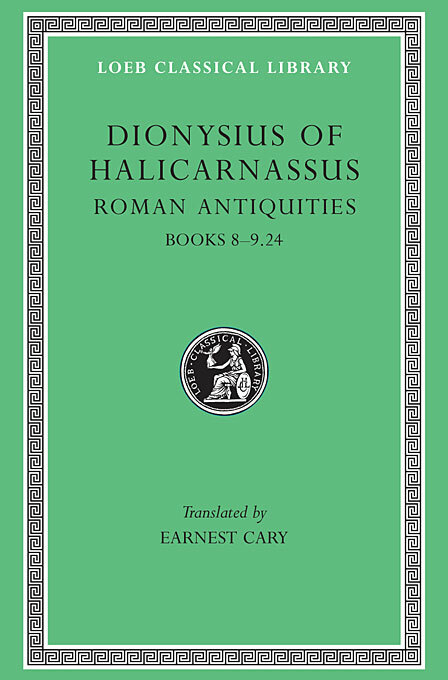 Dionysius of Halicarnassus was born before 53 BCE and went to Italy before 29 BCE. He taught rhetoric in Rome while studying the Latin language, collecting material for a history of Rome, and writing. His Roman Antiquities began to appear in 7 BCE. Dionysius states that his objects in writing history were to please lovers of noble deeds and to repay the benefits he had enjoyed in Rome. But he wrote also to reconcile Greeks to Roman rule. Of the 20 books of Roman Antiquities (from the earliest times to 264 BCE) we have the first 9 complete; most of 10 and 11; and later extracts and an epitome of the whole. Dionysius studied the best available literary sources (mainly annalistic and other historians) and possibly some public documents. His work and that of Livy are our only continuous and detailed independent narratives of early Roman history. 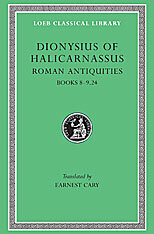 Dionysius was author also of essays on literature covering rhetoric, Greek oratory, Thucydides, and how to imitate the best models in literature. The Loeb Classical Library publishes a two-volume edition of the critical essays; the edition of Roman Antiquities is in seven volumes.